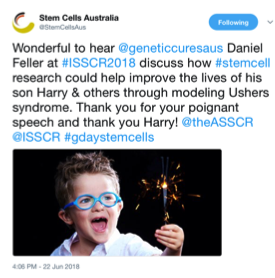 The International Society for Stem Cell Research (ISSCR) 2018 annual meeting was held from the 20th to the 23rd of June in Melbourne, Australia. 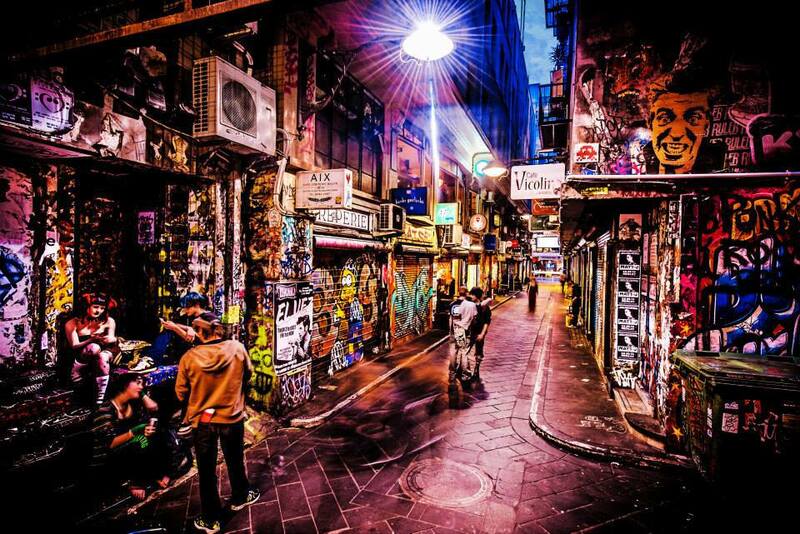 This year’s event showcased the humbleness yet culture rich, down-to-earth side of Melbourne, while still maintaining its stylish vibe. 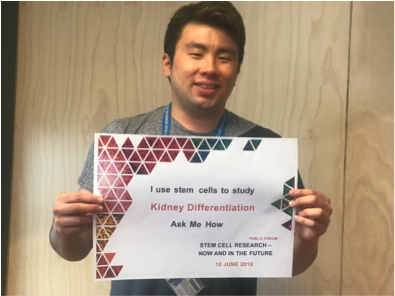 This article reflects I believe as the highlights through the four day event and some personal networking experiences from a local PhD student who is very passionate about stem cell research. 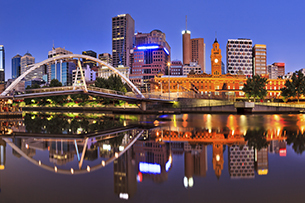 As a PhD student in Melbourne, I was very thrilled to know that the International Society for Stem Cell Research (ISSCR) 2018 annual meeting would be hosted in my home city from the 20thto the 23rdof June. This year’s event showcased the humbleness yet culture rich, down-to-earth side of Melbourne, while still maintaining its stylish vibe. The event was tightly organised thanks to the hard work of this year’s event organiser. I was humbled and proud to be selected to present a short talk about my work in the differentiation of human induced pluripotent stem cells (iPS) cells into kidney podocytes (an important cell line responsible for kidney function) in a satellite international meeting. SCDMDD was held in Monash Institute of Pharmaceutical Sciences on the 17th-18th June just before the ISSCR. I gratefully thank Professor Colin Pouton for the opportunity, as well as the organising committees. It was definitely an invaluable, but at the same time, nerve-racking experience to present in front of an audience full of world-class stem cell leaders. 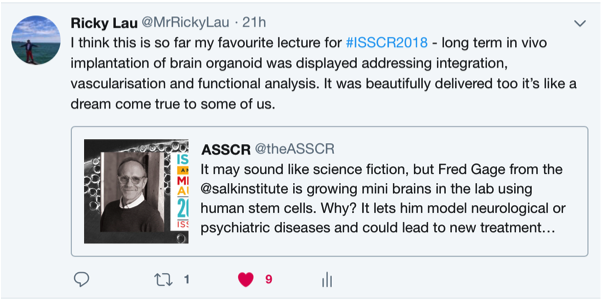 This also led to an overall improvement to my later poster presentation for ISSCR2018, and increased my overall understanding of the stem cell field. This year’s ISSCR had about 3,000 attendees. 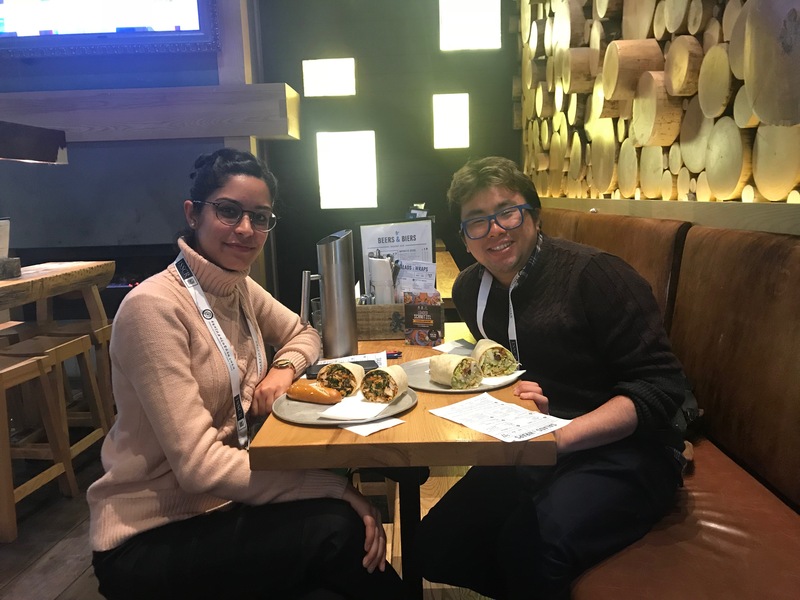 The advantage of attending a large international conference in your own city was definitely the opportunity to see, network and get to know familiar faces from the local universities or institutes including Monash University, Melbourne University, CSIRO and MCRI. 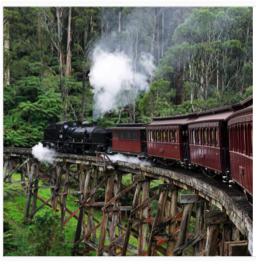 As the sessions were all listed in the program brochure, I will only reflect on some of my personal highlights through the four day event and share some personal networking experiences from the lens of a junior investigator. The whole ISSCR event kicked off by the opening speech from the Governor of Victoria Linda Dessau to welcome foreign attendees, and focused on the achievement of stem cell research. The ISSCR President Professor Hans Clevers started the conversation by reinforcing the message that it is important not to forget the hard work and effort behind the innovative work. Personally, I found that the poster teasers were quite thrilling as investigators had to unpack their complex research in the plenary within just a minute! 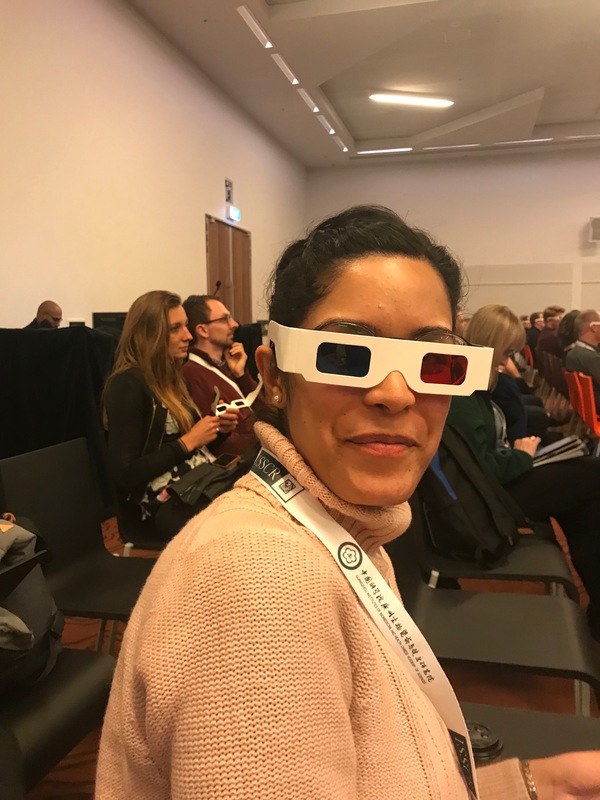 Our honours student, Tejasvini Bhuvan, was having so much fun with her 3D glasses for a session about 3D cell imaging, how cool is that! Don't forget to find time for a team bonding lunch with your lab member(s)! 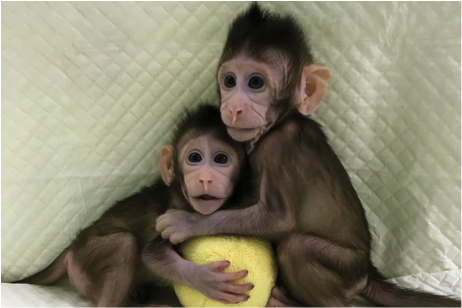 One of the most memorable plenary sessions was delivered by Dr. Qiang Sun and covered how two monkeys, Zhong Zhong and Hua Hua, were cloned for the first time using the same technique used to clone Dolly the sheep. When it comes to my favourite, it was definitely all the organoid research made possible by stem cells. “Organoids are clusters of cells that organise themselves into mini versions of our organs” (http://theconversation.com/organoids-the-future-of-medical-research-71963). The development of organoids has helped scientists to better understand the communication between different cell kinds in an organ ALL in a test tube. On day 3, there was an incredible lecture given by Professor Fred Gage who unravelled the development of brain organoids and their maturation in the animal brain, forming blood vessels. Another fascinating session was given by Professor Joseph Wu, who talked about the large scale use of individual hiPS cell lines for drug screening to solve the current problems of current genetic screening. 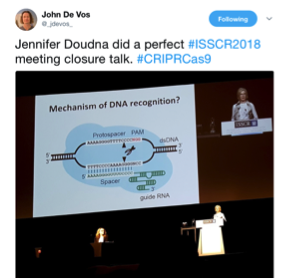 Last but not the least, the meeting concluded with a plenary session by Professor Jennifer Doudna and her team – a great story about the journey of how CRISPR was first adapted allowing us to edit our DNA. As most of you might know, CRISPR is now widely discussed in the media and it has enhanced our ability to modify DNA in humans - definitely a big advancement in biomedical research. 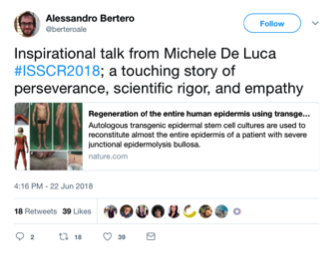 The ISSCR Award for Innovation Lecture by Professor Michele De Luca was absolutely inspiring. Patient Advocate Address by Mr. Daniel Feller has reminded us why we work so hard as a stem cell researcher. One of the more special experiences was the Meet the Experts Luncheon which I would highly recommend to first attendees who are junior investigators (i.e. PhD or Early Career Researcher). This year I attended and delightfully got a seat at the table of Professor Christine Mummery. During the lunch, all the attendees were very eager and enthusiastic. We had an engaging and meaningful discussion about our science career trajectories and mentorships. Professor Mummery also provided some brilliant advice on science etiquettes, which are not usually widely discussed, and her journey as the first to introduce iPS cell research into Netherlands. As I am approaching the end of my PhD, this event has definitely stimulated and inspired me to plan for the next 9 months. What do I want to specialise in? Do I want to work in the industry or academia? (At the moment I only have a brief answer, but I’d love to share it once it has consolidated). Next year, the ISSCR2019 will be held in Los Angeles in the USA. What sort of different experience will it be? I haven’t decided if I’d attend but think I will leave it to my data to decide. One thing I know, I am now definitely excited about my research. The meeting has made me more ready to get back to the lab and explore my research to answer the mystery of if we can use iPS cells to make good quality kidney cells as a potential avenue for drug screening, disease modelling or, even more ambitiously, a cellular replacement therapy. Disclaimer: Opinions are my own and not the views of my university or any organisation. 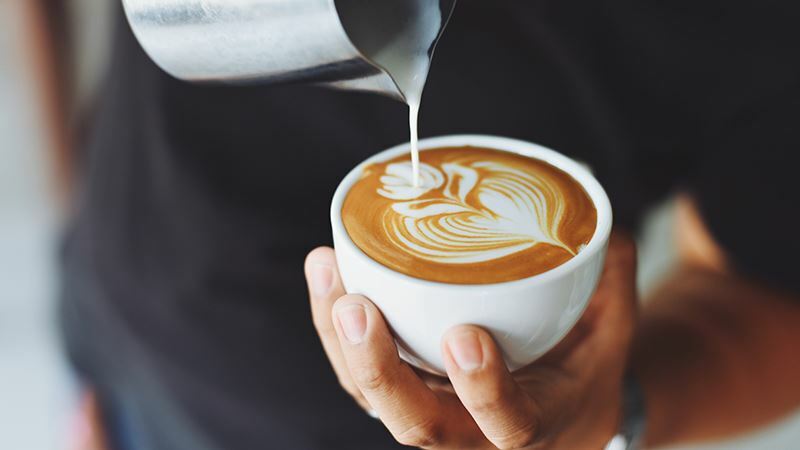 I would also like to acknowledge Dr. Lynette Pretorius from the Faculty of Education, Monash University for providing editing advice for my article.